Welcome to Cognus. For the highest quality viewing, please check that your settings are set to the best resolution for your system, typically HD 1080p. Full screen is recommended. Settings are located at the bottom right side of the images. A complete description of the updated interface will be provided. Simplified workflow will also be shown. This video describes how to create a custom toolbar. The interface can be made to suit everyone’s taste. Benefits from customizing toolbars will be shown. VoluTurn is a new rough turning process available in GibbsCAM 12. It is designed by Celerative Technologies, the same group who created VoluMill. VoluTurn is designed to rough hard to machine metals by creating smooth flowing toolpaths and a constant load on the tool. This option will make your tool last longer. There have been many improvements to Adaptive Pocketing in the advanced 3D process in GibbsCAM 12. Many options included in other advanced 3D processes are now available here. Also, we will look at a new feature unique to Adaptive Pocketing called Link With High Feed Rate. 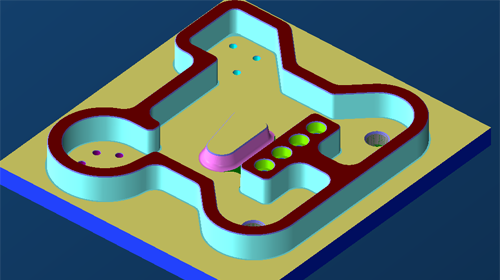 Another addition to Adaptive Pocketing and all Advanced 3D processes is Fixture Clearance which will alter toolpath to miss any solid defined as a fixture. There have been some great improvements on how code is created for multiple parts in GibbsCAM 12. There is more control on how the tool navigates from part to part. Also, the parts being cut now appear in Simulation mode. 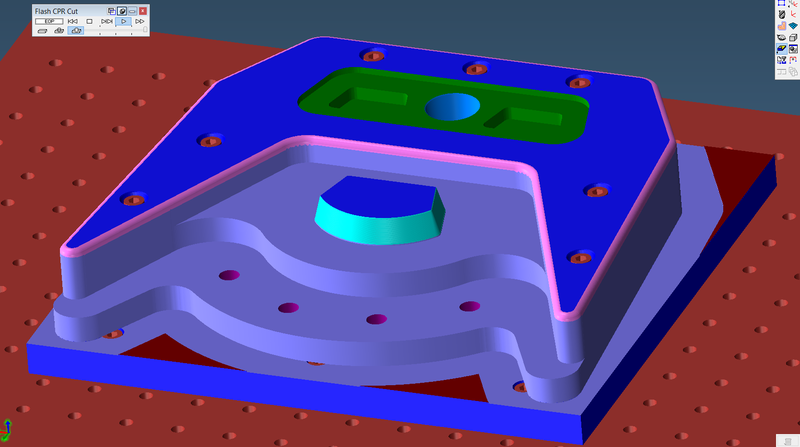 There are many improvements to the 5 axis module in GibbsCAM 12. There are automatic retract options in the link tab which makes navigating the tool around the part much easier. You can increase the quality of toolpaths by using Point distribution options in the surface paths tab. Also, when an operation has many retracts, they can be made all the same using the common direction option. There have been many additions to the 5 Axis module in GibbsCAM 12. When using Calculation based on wireframe and you are engraving, there is an addition which cleans corners called remove cusps. Also when creating toolpath based on wireframe, there is now a rest rough feature. When creating toolpath based on triangle mesh, there are improvements to the 2D containment feature. Also, in the link tab, default lead in/lead out, there is new lead in/lead out extension option. There is increased integration between GibbsCAM 12 and STL files. This video will show them to you. Also, GibbsCAM 12 can now export a solid model to a 3D pdf file. We’ll show you that too.